NEW! 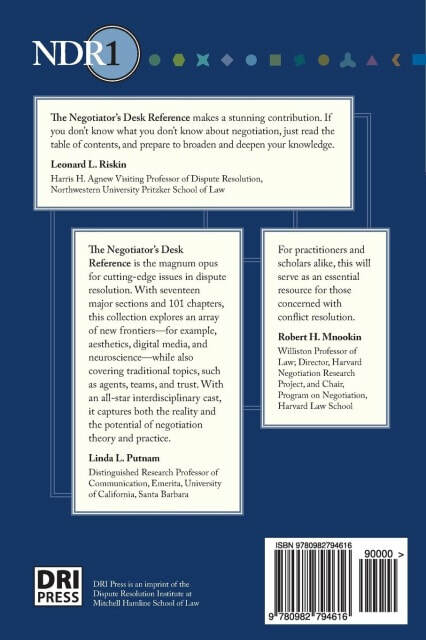 The Negotiator's Desk Reference (NDR) is now available through bookstores everywhere, following a period when the print edition was exclusive to Amazon. The NDR is also available in a complete Web edition. Go directly to the NDRweb site (opens new window). 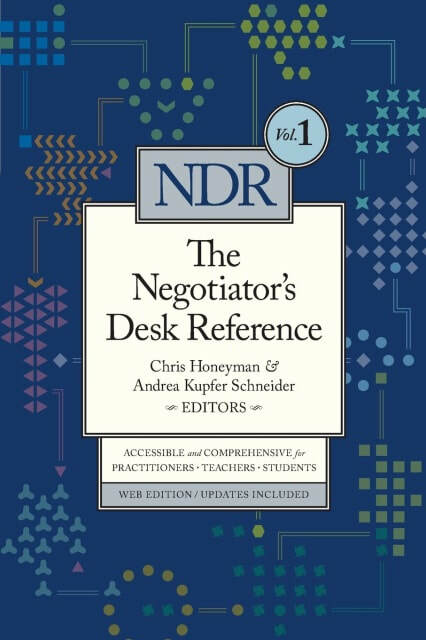 The NDR, edited by Chris Honeyman and Andrea Schneider, supersedes Schneider and Honeyman's The Negotiator's Fieldbook as the most comprehensive reference available on negotiation. Published in 2006 by the American Bar Association, the Negotiator's Fieldbook promptly became an ABA bestseller. But in the last decade a great deal more has been learned, particularly in the course of the Rethinking Negotiation Teaching Project (with its four-volume book series.) One way to illustrate this is simply to note that the new book is nearly twice the length of the old one. Another is that well over half of the NDR consists of entirely new chapters.